Well, while talking about a wood pallet recycled barn, I became really excited. Because having and managing a larger house, i usually counter several problems. There are a plenty of things that can’t be stored inside, nor all the activities could be done indoor. 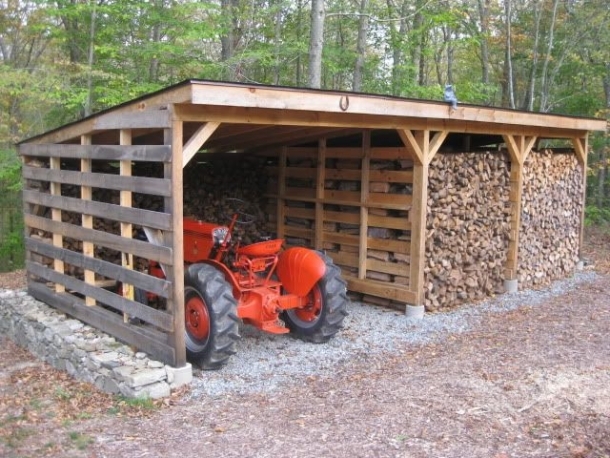 So having some outdoor shelter or a wooden outdoor shed sometimes just becomes a must have. 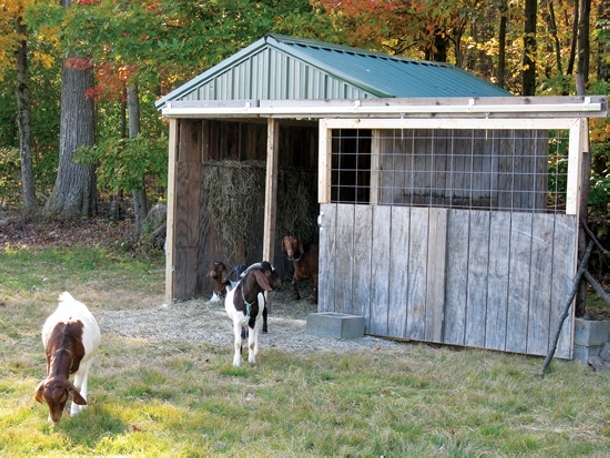 Sometimes you have to store your wooden supplies inside the barn, sometimes you have to take care of your pet animals. 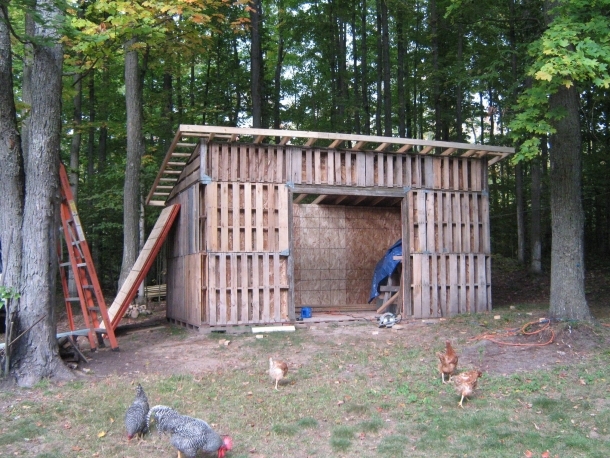 So having a wood pallet recycled barn is another great thing that can be done with the same shipping pallets. This is a perfect wood pallet recycled barn. The images show that the barn is used for some non typical purposes. May be the owner is taking care of his pet birds or he might use it for any random purpose. But the design and shape of the barn is simply great. If you are living in some rural setting, there your needs might be different. Like you would have to store larger amounts of compost, or after the cutting session you have to store the wheat crop or many other similar stocks. So for this sort of needs, this wooden pallet recycled barn would be pretty perfect. Are you concerned about your sheep? You want to take the best care of them all and want to provide them with some best sheltering space? 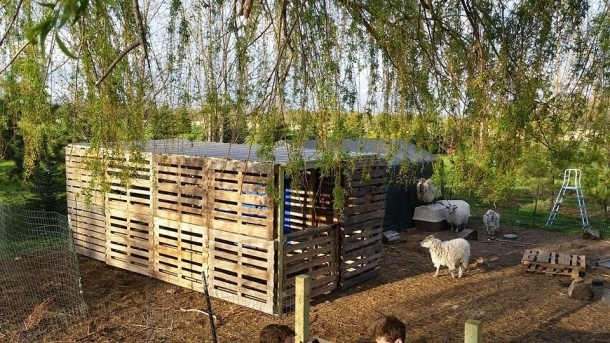 Just get them this wood pallet recycled barn, they would be all protected from the extreme weather conditions, and predators as well. Coming to the next barn, its shape and design is just like the earlier ones, not so complex one. But we have used some additional materials like some metallic stripes, and we have also used the robust metallic slabs in the basic frame of the wood pallet recycled barn just to ensure the durability. And this one is may be the simplest one. 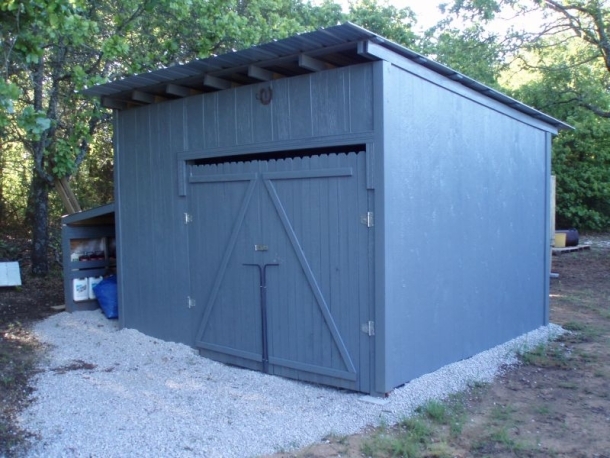 A straight and wide wood pallet recycled barn with a metallic shuttering roof on the top. This could be a bit lower height wise, but for the goats and sheep this is perfectly sized. 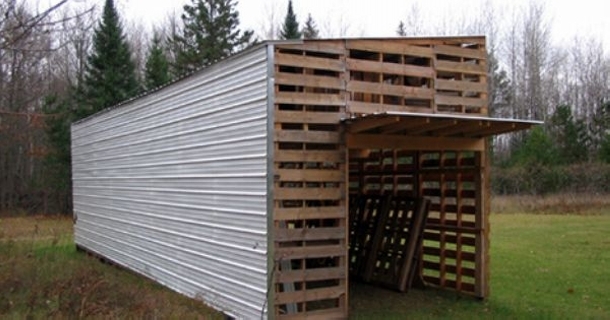 You can extend the size and the area of wood pallet recycled barn according to your needs. 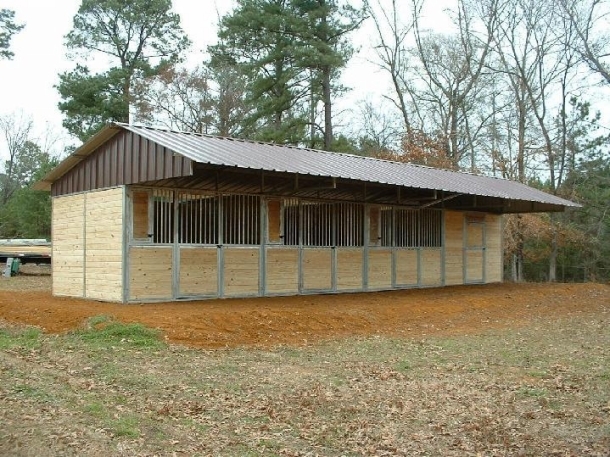 Like this is an extensively large barn, we have also used the metallic material for several purposes, like to enhance the durability, and also to manage the temperatures. 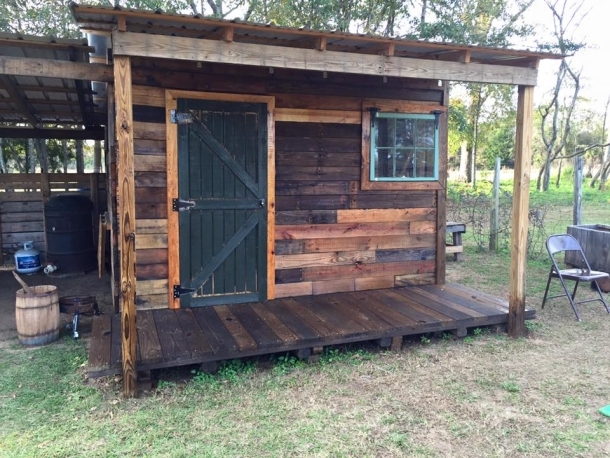 This one is apparently a vintage pallet wood upcycled barn. The pattern seems to be inspired from some countryside structures. Looking from the perspective of a wooden barn, it has got it all. 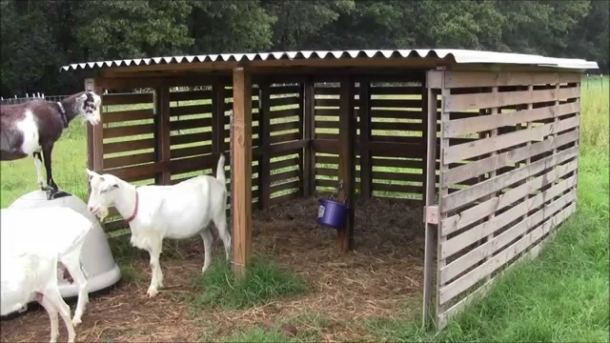 You can use it for yourself, even for your pets, this is just a basic shelter with some of the basic needs of life. And the final one seems like a large stock room, this is very well designed, painted and finished. 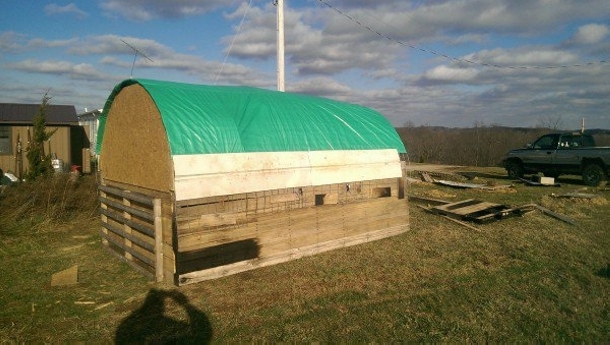 With a large door on the front, you can use it for your studs, horses, or some other livestock. 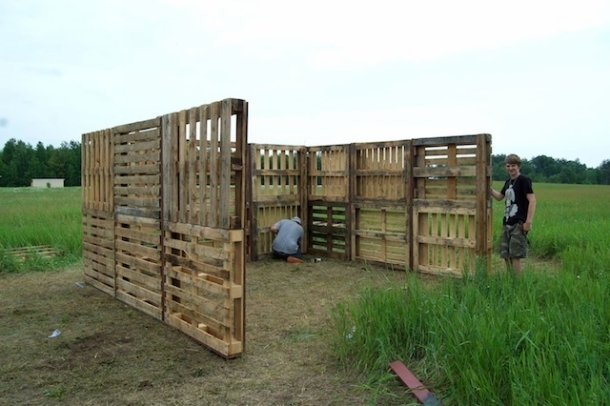 Use it in one way or other, pallet recycling has made it all possible for you.